Pacsafe’s sleek, roller carry-on luggage is nimble in any situation and packed full of valuable anti-theft features. Interestingly the Pacsafe brand is built as much upon heartache as it is on adventure. Whether you travel to the local coffee shop or overseas, like it or not your luggage and bags are always a target. Should your bag or your valuables end up snatched by thieves, we can all agree it is nothing short of heartbreaking. In response, Pacsafe has made it their mission to keep your gear safe on trips of any length. 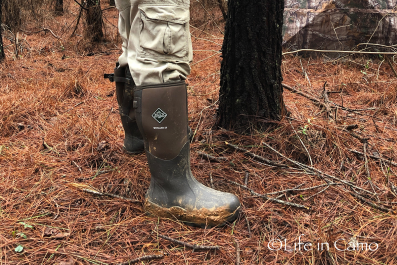 In fact, their approach is rather refreshing in a world of pack brands that focus only on styling and needless “overkill” internal pocket design. 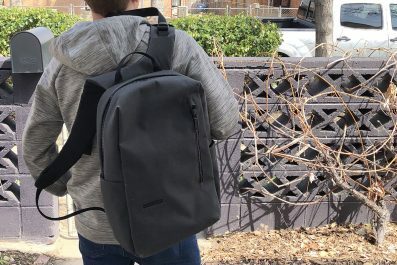 Pacsafe’s signature anti-theft features include slash resistant mesh lining, puncture-resistant zippers, and lockable closures to help keep your belongings safe. Pacsafe also helps fight identity theft with RIFD resistant tech. So while many pack and luggage brands organize your gear, Pacsafe adds key features in each of their models to actively protect all your belongings. This is a unique strength that really differentiates Pacsafe from the myriad of other brands on the market today. For those “pack light airline junkies,” today we’re going to look at an excellent option, the Pacsafe Toursafe Wheeled Carry-On. The Pacsafe Toursafe Wheeled Carry-On is a nimble option in a world of bulky, clunky and boring roller luggage. 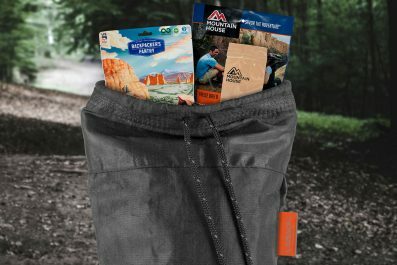 It can hide out as a pack (without straps) with the roller handle stored, or with a quick press of the handle release, it becomes a full-fledged roller bag. The Toursafe 21 fits well into short to medium trips, especially if you’re not the type to pack the kitchen sink. If you need more space, Pacsafe also has a larger version with (Toursafe 29) with 96L of pack space versus the 42L of space in the Toursafe 21. When it comes to anti-theft elements, the Toursafe has a different feature set than that of their day packs. Pacsafe’s signature lockable zipper enclosures are not present in this model (although personally I’d like to see them added), but the zipper pulls are well-designed and easy to grip. There are also attachment points for a luggage padlock if so desired, which explains why Pacsafe didn’t include their signature Roobar locking enclosure in this model. The Toursafe still sports Pacsafe’s ToughZip technology which makes it hard for thieves to easily breach a zipper. This is a huge feature that is easily overlooked by many pack manufacturers. Believe it or not, even just a little pressure on a zipper with an item like a pen can separate each side of the zipper and send you gear flying. Thieves use this vulnerability to puncture and grab items from unsuspecting targets. The ToughZip design protects against this vulnerability and any thief will have a tough time prying PacSafe zippers open. Dimensions: 22.1 x 15 x 9.1 in. Anti-Theft Features: Puncture-Resistant ToughZip and lockable zip sliders. Laptop Storage: Fits 13 in. laptops. External Extras: Two-position telescoping handle, external compression straps and easy grip zipper pulls. Internal Extras: Luggage ID pocket, internal pockets for smaller item storage, pen loop and key lanyard. Sure the Pacsafe Toursafe looks great, but how does it function on a trip? Earlier this year I was presented the perfect chance to test the Toursafe – on a business trip to Vegas. (Yes, believe it or not people do go to Vegas for business). I was excited to test the Toursafe, especially as a couple years ago I decided to forego a roller bag for airline travel and opt for a large nylon carry-on backpack. I like to stay mobile in the airport, and you won’t see me toting a giant, oversized roller bag. However the carry-on backpack was taking a toll on my shoulders, especially on longer trips where I had to pack it full. The Pacsafe Toursafe turned out to be the perfect option to move back to a roller bag without totally sacrificing my mobility and desire to not carry an oversized bag. Under shirts and dress shirts placed at the bottom of the bag and secured with compression straps on each side of the handle (you can feel the retractable handle container at the bottom of the internal compartment, and it serves as a natural divider). Toiletries and other items stored in side zip pocket next to shirts. Pants folded and placed on top of shirts. Shirts and pants secured with draw string liner. Optional light jacket could be stored on top of shirts and pants. Or laptop could be stored here. Underwear, socks and other items stored in mesh zip pocket found on the top flat opposite the large internal compartment. Various small items stored in smaller front zip pockets. As you can see, Pacsafe has created a very logical system for storing all your gear, and I’m sure in later trips I may alter the setup to fit my needs. Again 42L of storage space is larger than you would think, and I was surprised what I could fit given my first impressions of this medium-sized roller bag. Even if the bag ends up a little bulky after packing, the external compression straps can help slim it down. Now that I was all packed and ready to go, it was time for the true test by taking the Pacsafe Toursafe to the airport. Personally I believe this carry-on is extremely easy to wheel through crowds, up and down escalators and in any other semi-awkward travel tasks that come with the airport. I will concede you don’t have quite the turning stability with the one frame handle versus the more common two frame handle, but this was never an issue for me. On the other hand the one frame handle is super easy to operate, and if crowds get thick, you simply pop back the handle from full extension to half extension and the bag is closer to you and easier to control. As for entering the airplane and overhead bin storage, naturally the sleek design of the Toursafe works well for both tasks. There is a large, rugged handle on the underside of the bag that makes it easy to adjust and pull back out of the overhead compartment. The underside of the bag consists of molded materials and hard plastic casing so it will last even under heavy use being dragged in and out of the overhead bin. While generally a flat carpeted or tiled airport isn’t really going to test the rolling abilities of a carry-on, the outside world is a different story. It’s easy to see Pacsafe hasn’t skimped on the wheel construction (something very common in cheaper rollers), and these beefed up wheels handled any other terrain I encountered, including the occasional decaying or broken sidewalk. Even on the last day of the business convention where I had to carry my luggage with me for a time, I never felt encumbered by the Toursafe. This roller carry-on truly fits into any travel scenario. In short, the Pacsafe Toursafe 21 is among the best luggage I have ever used. It has a stylish, unique look that stands out among the boring world of inferior budget roller luggage, and it’s quick and nimble should you have to hustle to a connecting flight. If the Toursafe was just an ordinary roller, I would still be happy with its performance for the price. However you get a ton of added value in the anti-theft features that really makes this a must-have for travelers of every variety. The $199.95 MSRP price point is a steal for what you get, especially if you consider the cost of budget roller luggage with inferior wheels, sub-par materials and no anti-theft features. If you’re gearing up for your next trip, be sure to take a look at Pacsafe’s unique anti-theft line of luggage.